Med-X Anti-bacterial wipes are premoistened, general purpose, alcohol based wipes. Effective against a wide range of bacteria - fragrant free. Ideal for Medical, Dental, Industrial and Food Industries. 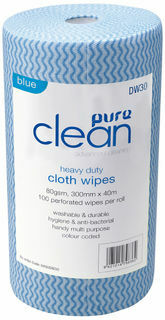 Each container holds 100 wipes, each wipe 15cm x 21cm. 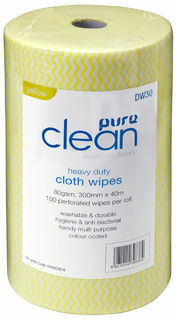 Wavey roll cleaning wipes. Antibacterial for built in hygiene control. 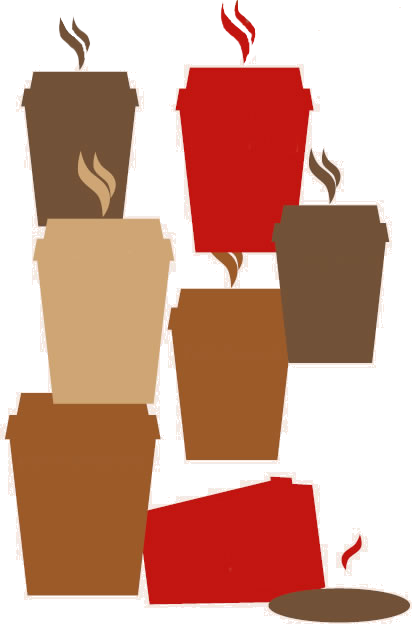 Brown roll - see guidelines below - brown/red cloths recommended for cleaning toilets. 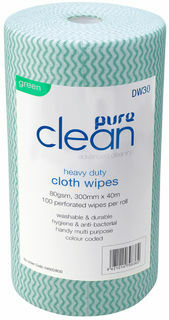 Green roll - see guidelines below - Green cloths recommended for cleaning kitchens. 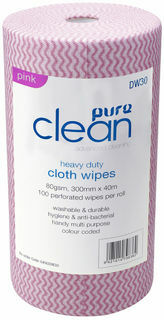 Pink roll - see guidelines below - pink/red cloths recommended for cleaning toilets. Yellow roll - see guidelines below - Yellow cloths recommended for cleaning bathrooms.